ES10 Series | Japan Aviation Electronics Industry, Ltd. 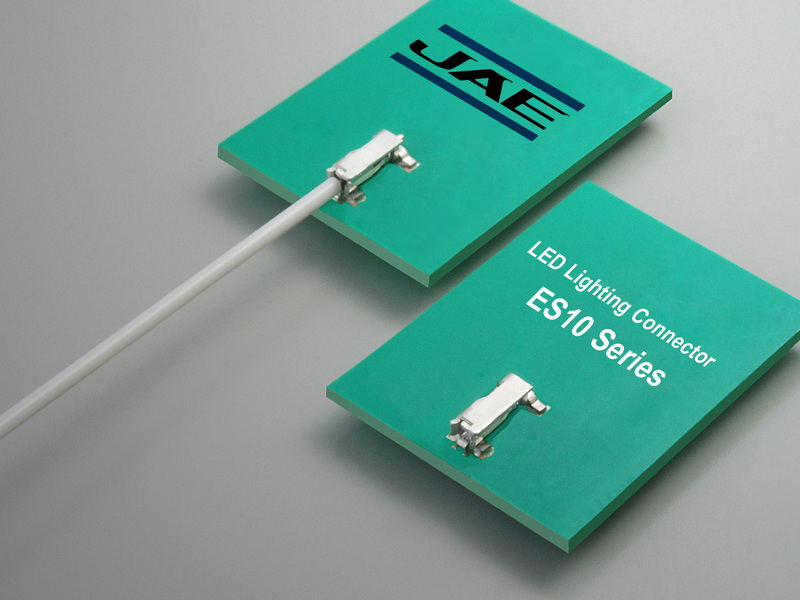 The ES10 series is a compact, low-profile single wire insert-in type 1 pin connector, with no insulator. This connector is well suited for use in a wide range of applications including LED lighting, LED TV backlight, tablet PC, and other compact devices. Compact and low-profile no insulator structure enhances design flexibility for customers. Just need to insert the stripped wire into the connector for connection. No soldering process needed. Improved insertion workability with a guiding mechanism at the single wire insertion area. Improved contact reliability with an original spring contact structure. Available in embossed reel packaging for automated mounting. LED lighting, LCD television back light, tablet PC, and other various hand-held devices. #26 to #24 AWG equivalent (Single wire), (Conductor diameter: 0.4 to 0.53 mm), Covered diameter: 2.0 mm max., * twisted wire (including spare solder) can not be used.